The words 'SCENTED CANDLE' are fixed. 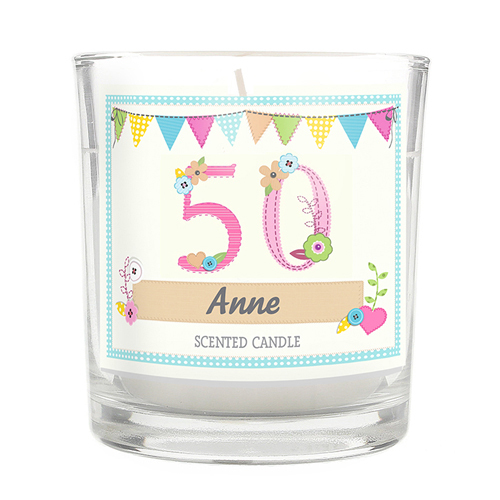 You can then personalise this scented candle in a jar with an age up to 2 characters and then a name up to 12 characters in length. All personalisation is case sensitive and will appear as entered. Personalise with an age up to 2 characters and then a name up to 12 characters in length.